It’s the moment you’ve been dreaming of. Pregnancy is exciting. It’s breathtaking. But it’s also a little stressful. 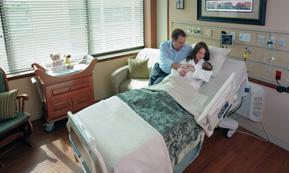 How will you find the right place to welcome your baby into the world? Will they offer the highest clinical excellence for you and your baby? Soon you’ll finally get to meet your child. Many women have never been a patient in a hospital before the birth of their first baby, so they have absolutely no idea what to expect. 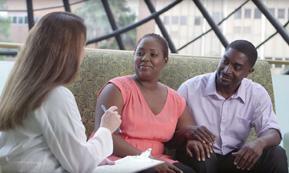 The idea of even going to a hospital as a patient can be daunting. Fortunately, today’s hospitals try to make the experience as “painless” as possible by offering all the comforts of home, and much more. The physicians at Contemporary Woman’s Care have partnered with the finest hospitals in the greater Orlando area, offering the finest delivery experience, steeped in the highest levels of medical excellence, and catering to all the needs of baby and the expectations of mom. These were mutually agreeable partnerships, physician and hospital seeking to partner with the other, and you can consider CWC and the respective hospital to be extensions of each other. We encourage you to explore all of the hospitals available to you, to determine the location you’re most comfortable with. 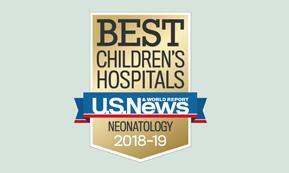 Whichever hospital you choose, you’ll discover spacious private rooms, a variety of delivery methods, expert childbirth classes and experienced nurses and medical staff ready to help create the memory of a lifetime. 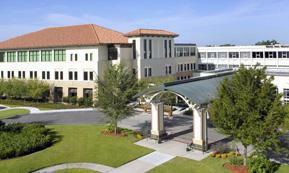 The Dr. P. Phillips Baby Place at Winter Park is part of the Florida Hospital for Women network of hospitals. We know that there is perhaps no more special moment than when you welcome your little boy or girl into the world. The first coo and cry, the first time you hold your child in your arms—these are memories that last forever. In everything we do, our goal is to make this experience the most comfortable and joyful that it can be—to be your home away from home. The Baby Place at Winter Park offers mothers in Central Florida an exclusive choice when deciding where to deliver, a place where Mom will be not just relaxed but pampered—in fact, we are the only luxury boutique hospital for expectant mothers in the area. Housed inside a gorgeous three-story, 97,000-square-foot Mediterranean-style building, The Baby Place offers high quality obstetrics care, all in a nurturing, hotel-style environment. We strive to be singularly attentive to every detail, from the 600-thread- count sheets to the expansive delivery-room windows that overlook Winter Park. 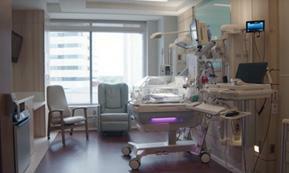 And because The Baby Place has its own entrance and elevators, access to our suites is easy and convenient. Dr. Snook, Dr. Warren, and Dr. Koss all deliver at The Baby Place at Winter Park. Click here to learn more about The Baby Place at Winter Park. At the Winnie Palmer Hospital for Women & Babies, it’s our goal to make your birth experience as joyous and comfortable as possible. From the moment you arrive until the day you are discharged, you will enjoy individualized care by our team of board-certified doctors and highly skilled nurses. We believe women should have the opportunity to customize their birth experience, with more control and choices in their birthing process. Whether you are seeking a natural unmedicated birth or wish to explore pain management options such as “walking epidurals”, our team of highly trained medical staff are here to meet your needs, surrounded by the finest in comfort and security. We also provide patients a choice of support people who are encouraged to stay as long as the mother wishes and take an active role in labor, birth, postpartum and newborn care. Dr. Snook delivers at Winnie Palmer Hospital. 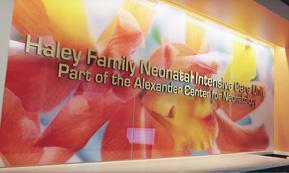 Click here to learn more about Winnie Palmer Hospital for Women and Babies.